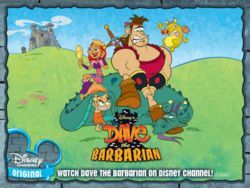 Dave the Barbarian was a Disney animated television series, created and written by Doug Langdale, that premiered in January of 2004 on The Disney Channel. A year later, it began broadcasting on Toon Disney as well. The series takes place in the Middle Ages and centers on a powerful yet cowardly barbarian named Dave.  Together with his sisters Fang and Candy and their Uncle Oswidge, the family is in temporary rule of the fictitious land of Udrogoth. The real king and queen (their parents), Throktar and Glimia, are away "fighting evil" (though they make occasional appearances via crystal ball) and have left Candy in charge. Much like its predecessors The Flintstones and the short-lived The Roman Holidays, Dave the Barbarian juxtaposes both the ancient and modern. Candy, for example, shops in the local mall and uses the crystal ball for online shopping sprees. Occasionally, the series even drops the so-called "fourth wall" with a character directly addressing the audience.